At Northern Hydraulics we stock a variety of seals and o-rings for repair of your hydraulic cylinders, hoses and adapters. 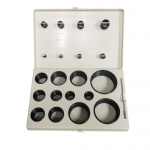 Featured below are factory assembled hydraulic o-ring seal kits containing a variety of popular and common sizes. Metric hydraulic cylinder seals and o-rings are available. Please call store at 1-800-823-4937 with any questions.